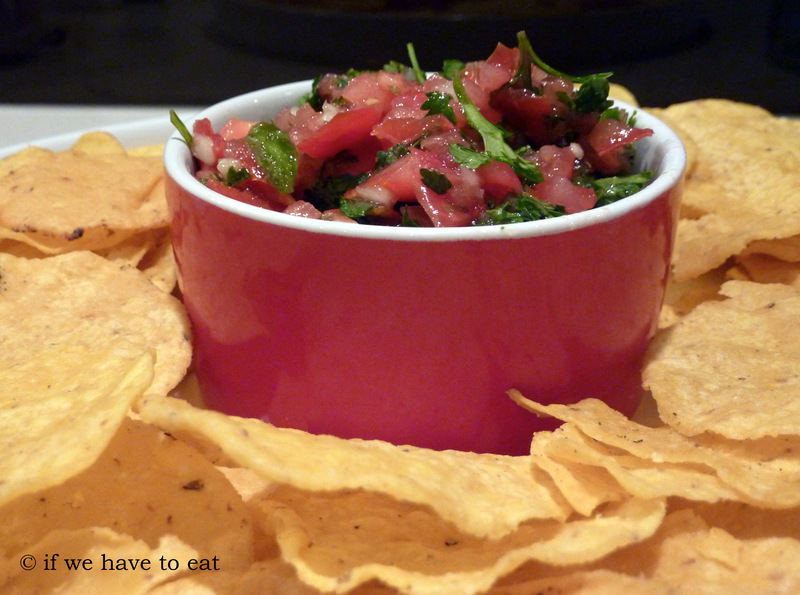 If you’ve ever been to a Mexican restaurant in North America, you will normally get at bowl of pico de gallo and corn chips to munch on as you look over the menu. I love the freshness from the coriander and tomatoes – and using the Thermomix to do all of the chopping means that you can make this in no time at all! This entry was posted on November 24, 2013 by ifwehavetoeat in Snacks and tagged Easy, Fast, Recipe, Snacks, Thermomix, Vegetables.